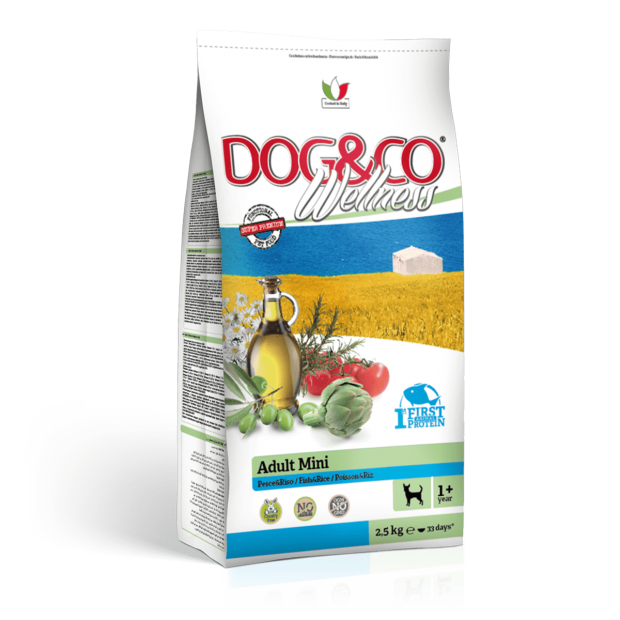 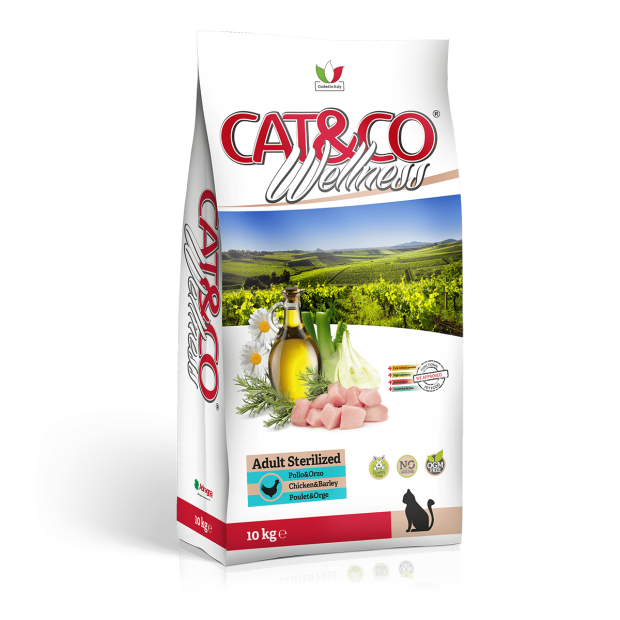 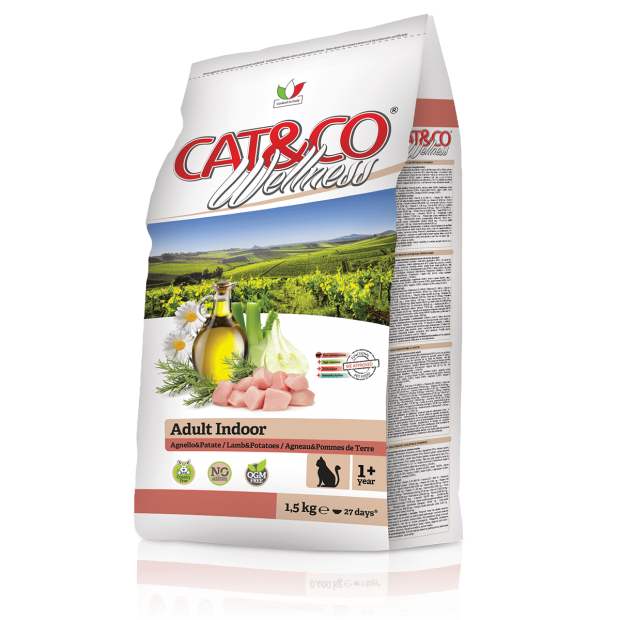 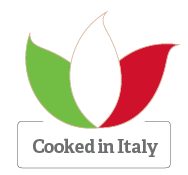 Adult fitness – Pollo e piselli meets the nutritional needs of adult cats, without artificial colourings or preservatives. COMPOSITION Dried animal proteins (chicken 28%); rice; durum wheat; barley; animal fats; potato protein; corn gluten; beet pulp; brewer’s yeast; linseeds; green pea flour (1%); sunflower oil (1%); fructooligosaccharides (FOS); chicory pulp; fish oil; yucca schidìgera; dried rosemary (Rosmarinus officinalis L.) (0,1%); dried fennel (Foeniculum volgare Mili) (0,1%); dried chamomile flowers (Matricaria recutita L.) (0,04%). 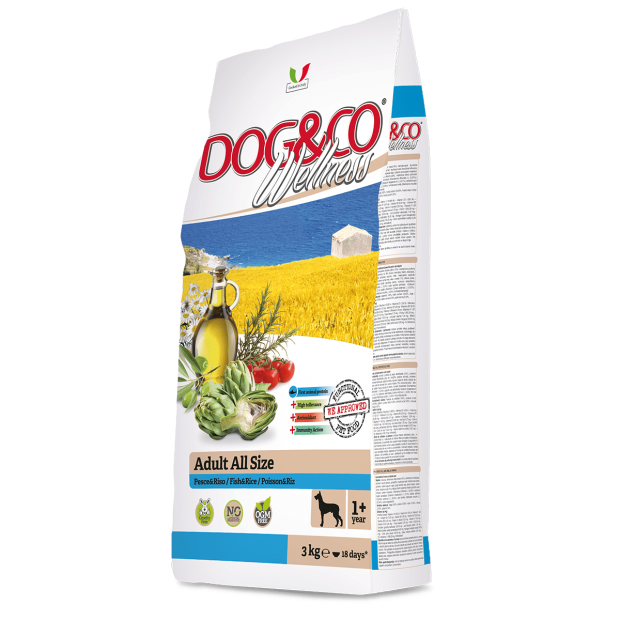 ANALYTICAL CONSTITUENTS Moisture 9,00%, crude protein 34,00%, crude fats and oils 17,00%, crude fiber 2,10%, crude ashes 6,40%, Calcium 0,90%, Phosphorous 0,80%, Magnesium 0,08%, Omega 3 0,60%, Omega 6 3,00%. 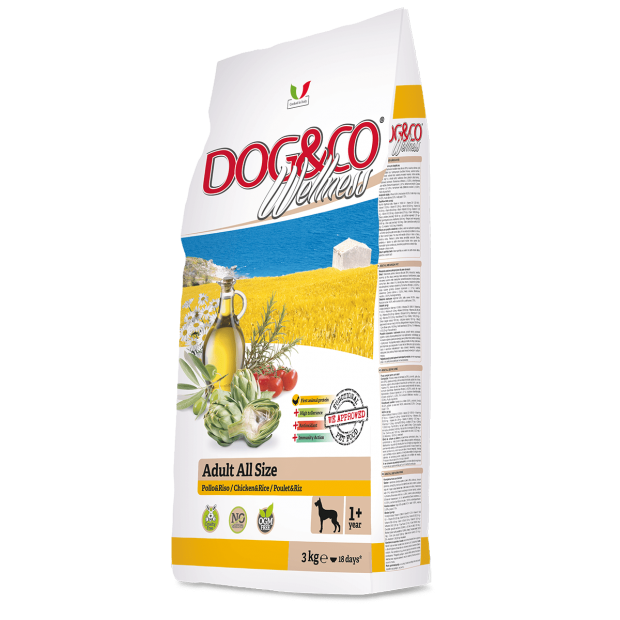 NUTRITIONAL ADDITIVES Vitamin A 31.000 UI – Vitamin D3 1.600 UI – Vitamin E 370,00 mg – Vitamin B1 6,50 mg – Vitamin B2 20,00 mg – Vitamin B3 (Niacin) 45,00 mg – Vitamin B6 10,00 mg – Vitamin H (Biotin) 0,28 mg – Vitamin K 1,00 mg – Vitamin B12 0,09 mg – Folic acid 1,00 mg – Pantothenic acid 27,00 mg – Vitamin C 200,00 mg – Beta carotene 30,00 mg – Choline chloride 2.500,00 mg – Taurine 2.500,00 mg – DL-Methionine 1.000,00 mg – L-Carnitine 100,00 mg – Iron sulphate monohydrate (iron) 715,00 mg – Calcium iodate anhydrous (iodine) 1,00 mg– Copper sulfate pentahydrate (copper) 44,00 mg – Manganese sulphate monohydrate (manganese) 129,00 mg – Zinc sulphate monohydrate (zinc) 485,00 mg – Sodium selenite (selenium) 0,93 mg.